(Photo: R. Dietz) (Photo: K.M. Gabrielsen). The world’s polar bear population is predicted to be reduced by approximately 30% over the next 45 years1,2. This is due to reduced access to prey as a consequence of altered sea ice coverage and dynamics, inducing energetic stress and risk for further endocrine disruption from long-range transported industrial pollutants1,3-4. If we are to amend this situation, there is an urgent management and conservation need for information on this iconic Arctic species that requires new, cutting edge methods. 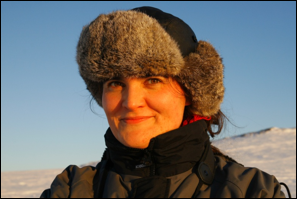 The goal of this postdoc project is to create and test novel approaches for understanding these changes on the polar bear populations. Obtain a deeper understanding of the novel non-invasive biomarker matrix that is polar bear hair; particularly with regards to its uses, their implications, and the development of further non-invasive analysis methods allowing the assessment of polar bear physiological state and overall health. 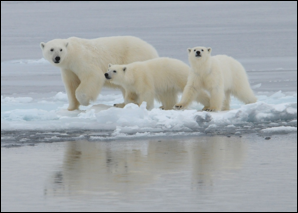 Determine the genetic aspect of the vulnerability towards environmental contaminants between polar bear populations. Incorporate the new knowledge obtained through the project with already published data on multiple polar bear populations (body condition, contaminant load, reproductive history, age, etc.) that will allow us to better understand the effects of climate warming and other population level stressors, as well as whether they affect the separate polar bear populations differently. (1) Amstrup et al. 2007. USGS Science; (2) Obbard et al. 2010. IUCN PBSG; (3) Jenssen. 2006. Environmental Health Perspectives; (4) Sonne. 2010. Environment International; (5) Vongraven et al. 2012. Ursus Monograph Series; (6) Vongraven & Peacock. 2011. CAFF;(7) Aars et al. 2006. IUCN PBSG.